Looking for an application that not only displays the basic emotions but shows information about more complex emotions? Emotion Cards by Pufferfish Software is definitely a great choice! Not only does the application show the various emotions, but when you press on an image of an emotion, a definition will be displayed on the screen! This application is great for students who are identifying emotions and those on the autism spectrum! Continue reading for my review as well as a giveaway of this application! The main page of this application shows different categories of emotions that are color coded. Press the bar for the emotion you would like to see more words and images from. Tap an image to see a larger version of it, then tap "Definition" to view a definition of the emotion within the application. There are so many different, more complex words within each basic emotion category. There are also multiple basic categories to choose from! The application includes images for each emotion which allows students to visualize the various degrees of emotions. 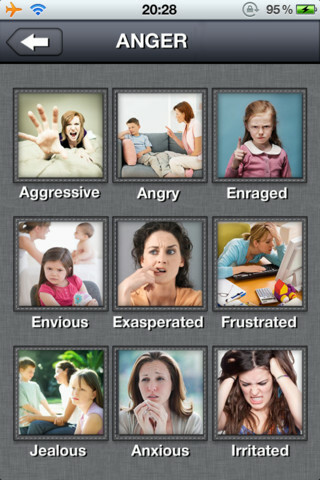 The fact that the application gives definitions for each emotion is perfect for readers! It would be great to hear the emotion word when the image is pressed for students who have difficulty reading/reading emotions. There were a couple words/images that I felt belonged in a different category or did not quite fit in a given category. Emotions - Students will be able to identify, define, and learn various emotions from this application. Social Skills - Discuss why a person might feel a certain way. Talk about when the student felt various emotions. Non-Verbal Communication - Talk about how you can tell a person has a certain emotion. Talk about facial cues and body language. Expressive Language - Have the student discuss or write a story about a time when he or she felt a certain emotion. Receptive Language - Read a story to a student. Have the student use the application to point to the emotion(s) the character(s) felt throughout the story. 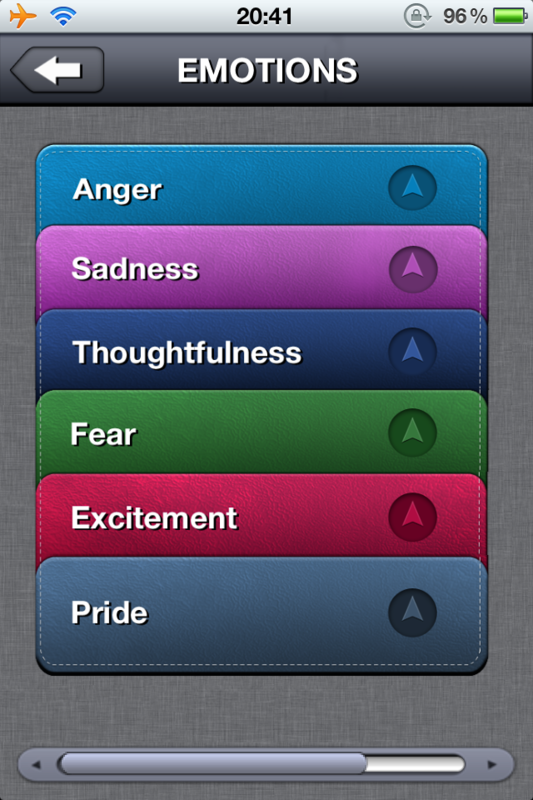 Emotion Cards is available for the iPod Touch and iPhone for $0.99 (can also be used on the iPad). 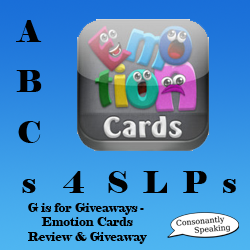 Consonantly Speaking was given a copy of Emotion Cards for this review. No other form of compensation was given. Enter to win a copy of this application below!